The private equity industry in Colombia is not as mature as it is within the world’s largest economies. Even compared to regional peers Brazil and Mexico, the sector still has a long way to go. But given its brief history, the progress made over the past decade has been notable, bringing private equity from nothing to something. To shed more light on this world, Isabella Muñoz, executive director, of ColCapital recently sat down with Finance Colombia to share her perspective with executive editor Loren Moss. 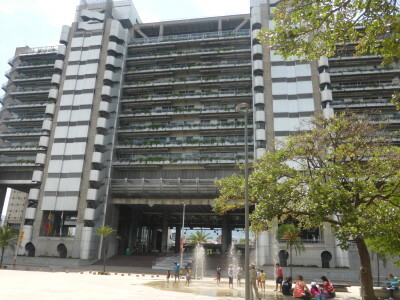 Her organization — also known as Asociación Colombiana de Fondos de Capital Privado — has been the leading stakeholder in the sector since its creation in 2012, and before that she gained experience in the market while working with Bancóldex and Banco Davivienda. Going back to the beginning, Muñoz explains the history of Colombia’s still-young, still-developing private equity world. From the country’s improving reputation and proven economic expansion to a changing investment mindset and growing professional community of experts, Muñoz details the saga that has brought Colombia private equity from a fledging industry in 2005 to one that is starting to flex some financial muscle. Finance Colombia: Can you explain what ColCapital is and how it has helped develop private funds in Colombia? Isabella Muñoz: We have to ensure that the local regulatory framework is friendly, efficient, and allows more and more capital from private funds to be structured in the country. So we’re working towards that. We are the ones that gather up all the needs of the industry and we take them to observers to the regulators. We negotiate with them and we come to agreements that can benefit the industry. We represent the common interest of the whole industry with respect to the ecosystem in general. And since the subject of ecosystems is so wide, we have segregated our support into like three niches of the market. The first is investors. We have to work with international investors, and that’s why we work very much hand-in-hand with ProColombia, but we aren’t going to repeat their efforts. ProColombia exists for that, so what we do is train at ProColombia’s offices worldwide. We give them support tools so that they can sell Colombia to international investors — not only as a destination for direct investment, but also as a destination for investment through private capital funds. Finance Colombia: So you’re trying to raise awareness and generate more interest in private equity both here and abroad? Isabella Muñoz: Yes, we have to work with investors at the international level and with the local investment community. And the second segment of the market that we work with is the entrepreneurial business ecosystem. For us, since this has only been an industry for 10 years, and we’ve been an association for only four, previously there was not a lot of awareness on the part of the businesspeople in Colombia about what private capital funds are and what they’re for. So they continued to be financed in the traditional ways — by traditional banking — and others remained unaware of what private funds are and how they work. So we work with entities such as ANDI (National Association of Colombian Businessmen), FENALCO (National Federation of Businessmen of Colombia), with the Chambers of Commerce, where the companies are, in subjects about awareness. We have investment conferences with training so that they understand which funds exist in the country, how they can get to them, and what a fund is for. The third objective of the association is that we have to generate spaces for the exchange of information for our members. So we have an assembly that meets every year and has become the most important private equity event in Colombia. That takes place in the month of March. In addition to that, we have another event that takes place in the month of October, which is a gala just like the Oscars of the industry. It’s a very beautiful, very elegant event. It’s essentially for networking, but very high profile where we give awards in different categories to managers who were outstanding in the year in one of those selection criteria. And our fourth objective is to generate content for the industry. We are extremely active with our website. We have a trimestral bulletin, only for members, in which we put all the transactions that are made from the funds during the trimester and relevant themes of interest. We have a daily bulletin that we put together internally. Everyday before eight o’clock in the morning we send it out to our members. It’s in Spanish and English. And we have an economic study that we made jointly with our official sponsor. We supplied all the data and we analyzed the information jointly, and in addition to that we have a trimestral economic study. We select a sector of the economy and offer a diagnosis. All of this is on our web page. It’s in English and this document is a catalog of the private capital funds. Finance Colombia: The private equity industry is immature in Colombia in comparison with, for example, Mexico or Brazil. Why is it now being born — or waking up with a lot of movement — in Colombia? What happened before? What were the historical factors here in Colombia that made that sector less mature? Isabella Muñoz, executive director of Colcapital, has seen private equity in Colombia go from nothing in 2005 to nearly $10 billion USD now among her organization’s 99 members. Isabella Muñoz: Let’s take a step backwards, and I’ll tell you about what happened and about the evolution, and what I think has been those growth detonators. Now, we really do have a consolidated industry here in Colombia. So it seems that, in some ways, we have an advantage over them in spite of being younger in years of maturity. As an industry, all this started out in 2005. Before beginning that story, I think that independently, in order to have a developed private equity industry in a country — not talking about our own history, but in general — you need four fundamental elements. First, the country should have macroeconomic and political stability. Because if you don’t, no investor is going to come in. Look at Argentina for example — or at Brasil. Let’s say that these are quite cyclical countries. But for an investor who doesn’t know an emerging market well, to decide to invest, there has to be something that guarantees that there is political stability. Finance Colombia: There was never any confiscation of goods. That has never happened here. Isabella Muñoz: That didn’t happen here. So in some ways, we’ve been very stable. The subject of the war — of violence, of guerrillas — stained the image in the eyes of the international investor. It doesn’t matter if you grow — I’m not going there for them to kidnap me. I’m not going there for something to happen to me about my safety. Finance Colombia: The first time I came to Colombia, people asked me, “What kind of madman are you? You’re going where? Have you lost your mind?” And that was in 2004. It had a bad reputation. Now that’s changing. Especially in comparison with its neighbors, Colombia now represents stability. Isabella Muñoz: Exactly. So that is a primordial key to be able to start the industry. Second, you need a universe of sophisticated, professional investors to exist and decide to invest in those vehicles. So what used to happen before? Nobody knew about this, and we have been a very traditional economy in the way of managing our investments. Investing in buildings, in something tangible that I can touch. Because they are not sophisticated. Isabella Muñoz: Exactly. Even the institutional ones like pension funds were very traditional. They only invested in things that had a very controlled risk in their portfolios. That meant that this universe of investors didn’t see such a sophisticated affair as an option. And also the regulations didn’t allow it. Then, in 2005, there was a resolution that allowed pension funds to start to invest in private capital funds, and that was the first detonator for investors to exist in Colombia. So that’s the second component: to ensure that you have a universe of sophisticated investors willing to invest in these vehicles. The third? So now you have the money, and now you have the people with money willing to invest. What do you need now? Business agents. Fund managers. They didn’t exist here. The first two professional fund managers who arrived here were not Colombians. They were Peruvians, Hector Cateleano, with CA Colombia, and Eduardo Lejalde, with FEM Colombia. They had been making investments all their lives in New York, and they had done private equity abroad. Then they fell in love with Colombia and saw the chance to begin to create a fund when, here, nobody knew what a private equity fund was. So that’s how it started. Being non-Colombians, they came here to convince the institutional investors that it was a good way to administrate and invest resources in the long term. So you have to have fund managers — and not only international ones. You have to create local business managers who can reach that learning curve and that maturity so that they can begin to create their second funds and their third funds. So in that way, businessmen come, investors trust the vehicle, and they trust the instrument. And that all starts building up a snowball over time. Which brings us to the fourth component: You have to have companies to invest in and projects to invest in. Otherwise you can have all the other things mentioned before, but if you don’t have any companies, what are you going to do with the money? You have to find a business ecosystem where there are developed projects and sectors where there are companies of different sizes with potential for growth. That is the mentality of the Colombian businessman. The Colombian businessman before was too local. They didn’t care about “think big,” they didn’t think about climbing up or replicating businesses in the world. So when everything started opening up and Colombian businesses began to realize that they’re going to die here or they’re not going to grow — that they have to become world businesses — that began to generate dynamics. The businesses found themselves obligated to begin to export. Isabella Muñoz: … to prepare. Isabella Muñoz: … thinking about how to get the fruit and things out. Finance Colombia: Exactly. Take Bimbo, a Mexican company that is the number one in the United States. And so many others. CEMEX is the number two in the United States, I think. Now, companies are being born — SURA is taking steps — but it seems to me, as you said, it’s local sales: “Maybe we’re going to do something with the neighbors — with Panama, with Ecuador” — and I think it’s just like that with capital. We’re thinking locally. Isabella Muñoz: Yes, we have had success cases but they have been very few and small. So I think that now companies have realized that, one, they don’t have the technology to compete with the world, so they’re not competitive. So how are you going to go out to export and compete with the same orange or the same pineapple that Mexico or Brazil takes to the United States at half price and very well packaged? So there’s still a lack of subjects of industrialization and technology when talking about Colombia. We have been transforming ourselves, we have been going through a process, and they have found themselves obligated to do it because otherwise they’re going to die. All the brands are here, and more and more brands are coming to compete with the local ones. There’s Victoria’s Secret, there’s Bath and Body Works. Starbucks is already here. In Juan Valdez’s house, there’s a Starbucks — with a line of customers. They bring the brands from abroad, and the Colombians here believe in things from abroad — not in things from here. I think that’s a business-culture problem we have. So they prefer to go and pay 80 million pesos in TGIF in Parque 93, when you can eat the same ribs in any other local place. That’s the mentality. So that is an additional point. And then there’s the fifth point: the macro-regulatory. If you don’t have an adequate, flexible, efficient macro-regulator, people are not going to constitute their vehicle in Colombia. They’re going to go to the Ontarios, Delawares, Cayman Islands or the other fiscal countries where they are allowed to create vehicles that have a much easier, much more efficient, much cheaper and much less cumbersome fiscal treatment. Finance Colombia: OK and now Colombia has those five dynamics? The regulations and culture and everything is at a place where private equity is starting to take off? Isabella Muñoz: Let’s go back to 2005. In 2005 the regulation allowed pension funds to begin to invest in this, and thanks to the pension funds having invested, nowadays they represent 41% of the commitments of the funds industry. Who were the main investors at that time in 2005? Pension funds. Insurance companies. Multilaterals. And the government, through its different means and programs. So I think that, which was in 2007, was very important because it helped to bring in foreign consultants and information to the local market. Because nobody knew about this. But I think it was premature to think about it, and that initiative died. The program is called Colombia Capital and today that program only supports first-time investors. Then, two years later, in 2009, the government stepped in. The government, at that time it was the Ministry of Commerce, Industry and Tourism, and from there Coldex was born. 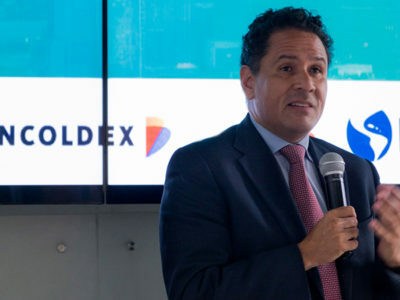 Bancóldex decided to create a program called “Coldex Capital,” which was to act as a fund of funds — to be the anchor investor — and to bring in more resources to those funds, to nurture them. Like those of FOMIN, like those of IDB, like those of IFC. And secondly, to be able to create a theme and an awareness in the ecosystem in general. So it had financial support, which was investment, and a non-financial support, which is where the academy was born. The academy was born out of that component and with that financing from the bank, the businessmen. That program was born in 2009 with $30 million dollars, and nowadays it has $100 million dollars in capital commitments. It has invested nearly $40 million dollars in eight private capital funds. Its policy as a program is to support Colombian funds, and it can also invest in the international ones as long as they invest in Colombia twice as much as Bancóldex’s investment commitment in that fund. What they really want to do is to encourage the industry in Colombia. And today Bancóldex, that program, is migrating to become a fund of funds. Finance Colombia: But that gives liquidity? Isabella Muñoz: That’s right. So that gave an impulse to the industry in 2009. All of this has obviously come about accompanied by some interesting and fundamental regulatory changes to be able to have the industry that we have today. We have gone through several decrees and a resolution, which was number 470 in 2005. Then in 2007 we had decree number 2175. Then in 2010 we had decree number 2555, which is the one in effect today. And in 2013 we had another regulatory change, which was number 1240, then number 1243. Well, now we’re going to raise the curtain of the subject of regulatory changes to finish telling the story. In July 2012, ColCapital was born, and in 2014 the academy that I mentioned was created for the first time. And nowadays, we have 99 members today in ColCapital. We’re quite relevant for the ecosystem, and we have become the most important actor in the private capital industry to articulate all those connections. Up to the close of 2015, we have 73 private capital funds. And today, in capital commitments, the private capital funds industry makes up $9.4 billion dollars. Finance Colombia: Apart from the traditional sectors — ironworks, mines, petroleum, natural resources — which are the growth sectors in Colombia that have to call the attention of the funds? What role do the funds play in diversification of the economy outside of natural resources? Isabella Muñoz: Within those figures, they are distributed among the different funds. The most relevant ones, in amount — which adds together the two, which are growth or those that invest in growth entities and “buyouts” — are the ones that invest in companies that are a little in distress. Those companies don’t necessarily have to be doing well to be able to make them grow. Just those two categories of funds make up $6 billion dollars. There are 34 private capital funds there. And the majority of them have a multi-sector focus. So at the end of the day, the resources today are concentrated in that piece. We watch with great interest the health sector in Colombia with a great appetite And retail in general has incredible profits. Services in general, and financial services, is also a very attractive segment. Logistics and technology comes into it. BPO, call centers, technology service questions. Maybe also manufacturing with all of the garment production. Those are the multi-sector ones. Then we have the infrastructure ones. As you know, the question of infrastructure is very important for us this year with 4G. There are the debt funds that are being structured. There are already two debt funds. Those debt funds already have more or less almost a billion pesos in capital commitments. Nowadays, in the operation of big debt funds, we have two funds, Sura and Credicorp. They already have 1.3 billion pesos COP. And the other fund, the fund of Kath with Ashworth, which is a business manager, is the one that has 1.3 billion pesos. And add to that 1.5 billion from old infrastructure funds, like Brookfield, like Ashworth, like Derby. So that’s the second segment with great movement for this year in the country. Then we have the subject of real estate. You know that real estate has had a “boom” in the last four years. Right now, in those 17 funds, we have $1.7 billion dollars USD in capital commitments. To your surprise, natural resources are the next category. We only have $438 million dollars there. It isn’t a lot. Because there aren’t any funds of ours, of private equities, which invest in mining, for example. The only ones we had in natural resources were, let’s say, the ones that invest in oil, which was FEM Colombia. Those are the only funds that we have from natural resources. Then obviously we have separate transactions — direct investments in mining and in oil — but not as capital funds. Finance Colombia: What is the next step for even more development — to take everything to another level? Isabella Muñoz: We have to go on ensuring the regulatory framework, and within the regulatory framework there are several things that are on their way that are going to be important and determine how they will become operative on a daily basis. One is a tax reform, and that tax reform cannot allow private capital funds to lose their fiscal transparency, which is one of the proposals that are going around. Wherever that happens, the industry loses motivation. Finance Colombia: Because they lose trust? Isabella Muñoz: And moreover because the subject of taxation begins to lose all sense and nature of what the vehicle is, because you’re going to have double or triple taxation, you’re going to have excessively high taxes as compared to the region, so the investors are going to leave running. This is a super-important, macro-regulatory subject that we’re working on. Finance Colombia: What kind of luck have you had, not only ColCapital but also for example, funds in general, in attracting capital from abroad? Isabella Muñoz: The funds are attracting international investors to invest in Colombia. Who? Pension funds from abroad, endowments, high-net worth, family offices, multilaterals. 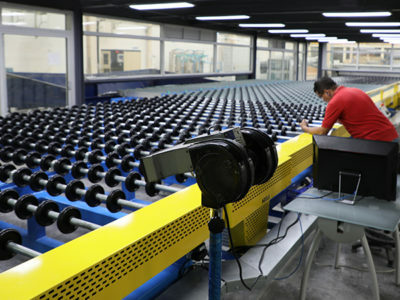 Those are the ones responsible for those resources having decided to come and be destined for investments in Colombia.